Matt Mullenweg has just announced that you can go “ad-free” on your WordPress.com blog. While you may have never noticed, those who are not logged into WordPress.com will see ads on blogs across the WordPress.com network. two years ago, WordPress.com started experimenting with Google ads to help support the cost of the experimental and state-of-the-art multiple user free blog service. The intent was not to cover your blogs with ads, like many free blogging services do, but to show an occasional ad discretely within your WordPress Theme. Since few complained or noticed, the experiment continued, helping to keep WordPress.com free and add a lot of free features that might have been paid upgrades. These ads were so rare, I never saw them. So I forgot about them. I’ve written a lot about the WordPress.com Terms of Service policy that prohibits adding ads to your WordPress.com blogs, so I was dismayed a few months ago when I got a few emails accusing me of special favors from WordPress.com because I had ads on my blog. They were seeing the WordPress.com experimental ads. Unfortunately, one of the ads was – shall we say – inappropriate, a problem many have with Google’s ad program. At the same time it’s easy to imagine blogs that would never want ads on them: businesses, startups, non-profits, political activist sites, the list goes on. Google Adsense analyzes the content to show contextually relevant ads, but that might mean a link to a competitor. Because of this we’ve introduced a premium option that gives you control: the No-ads upgrade. They’ve been working on this new feature for a while, trying to come up with a secure and affordable way for users to continue to support WordPress.com by permitting ads on their blogs, while allowing those with sensitive or special interests to not host ads. They’ve finally done it, and I applaud their foresight and integrity. Before you start jumping to remove ads from your WordPress.com blog, remember that those ads, most of which you will rarely ever see, help bring in income to keep WordPress.com going. If they don’t bother you or your readers, leave them alone. Why not? You are using one of the most powerful, state-of-the-art blogging platforms, a service that will survive the Digg-effect and high traffic surges without charging you; a service that keeps bringing you options and features without charge; a service that gives you a platform upon which to express yourself proudly – and is incredibly SEO friendly. Why not help them continue to keep this service free for everyone? If you do feel a compelling need to remove ads from your WordPress.com blog, go to Upgrades. Scroll down to No-ads and select the option. The cost to remove ads from your WordPress.com blog is 30 credits annually (USD $30 if you haven’t earned any credits) which comes to eight cents a day. Whether you keep or remove ads from your WordPress.com blog, why not take a little time to give back to WordPress.com and other WordPress.com users by browsing the WordPress blog network and get to know your fellow WordPress.com members. You can use the Random Post feature in the gray dashboard bar at the top of your WordPress.com blog when you are logged in, or visit the WordPress.com Blogs of the Day which lists the most popular blogs by language, or the WordPress.com Tags list. If you are familiar with how WordPress.com works, then why not help out in the WordPress.com forums and get to know the volunteers and staff there as well as your other fellow WordPress.com members. It’s a simple way to say thank you for this powerful free blog service. A lot of WordPress.com bloggers want to put ads on their blogs to make money for themselves. While some free blog hosts permit that, don’t forget that WordPress.com is also a testing site for many of the latest features of WordPress development. While the world has to wait for the release of WordPress 2.7, WordPress.com users are already using the new sticky post feature and will soon be playing with other new features as part of the new WordPress Administration interface redesign, a continuation of user interface improvements from the previous version of WordPress – long before anyone else. If you want to monetize your blog, get the free version of WordPress and pay for cheap hosting. Some hosts are offering web hosting for under USD $10 a month. With the full version of WordPress, you can not only add ads, but customize the whole look, add all kinds of cool WordPress Plugins, and really tweak your whole site to maximize its revenue potential. WordPress.com has always been about blogging, about freedom of expression and creativity. It’s not about the code. It’s about the words. WordPress.com is working overtime to make sure we have a place to share our words with others around the world – no holds barred. This entry was written by Lorelle VanFossen and posted on September 18, 2008 at 3:13 pm and filed under WordPress, WordPress News, WordPressDotCom with tags blog ads, how to use wordpress, wordpress, wordpress help, WordPress News, WordPress Tips, wordpress tutorials, wordpress.com, wordpressdotcom news. Bookmark the permalink. Follow any comments here with the RSS feed for this post. Post a comment or leave a trackback: Trackback URL. Adsense on wordpress.com ceased to be an ‘experiment’ a long time ago. (Seriously, how do people think this place stays afloat, if not with the help of ads?) I imagine, however, that it took a while to be able to make a reasonable guesstimate of the average revenue per blog per year, and to price the opt-out accordingly. $30 seems to me on the high side of reasonable, and certainly doesn’t compare terribly well with the livejournal equivalent ($25 a year gets you an ad-free journal along with a variety of premium features, although of course their SEO is shocking). But at least the option now exists. I don’t know who told you that users are banned from putting their own ads on their wordpress.com blogs for security reasons, but I’m not convinced. It seems far more likely that it’s to deter spammers and keep the place looking relatively tidy. A similar principle applies to forcing people to pay to edit their CSS: not only does it bring in a few extra dollars, it also prevents the site becoming a Myspace-esque nightmare. I say keep the ads there! it’s a fantastic free service, the least people can do is display some little text ads! The ads can be kept to help wordpress if you really want to show some love towards their free service, but still if you pay something to remove the ads, it’s not bad. Having advocated supremacy of WordPress software over all else & having recommended WordPress.com as the service to use to those who don’t want hassles of maintaining their own install or to those want a free one, this question always stumps me when people ask why don’t they allow us to put ads & I always have to shrug & say “ask them, how the heck would I know”!! But I do have my hopes that soon people will be allowed to put up their ads as well & allowed to make money from their own content. Aside from that, Automattic is a company and if the policy is to not allow ads, then that is the policy that users have to adhere too. Lorelle offered a great suggestion, that is mostly free, download WordPress and host it yourself. Earning a buck off the backs of someone else doesn’t seem like something someone is entitled to. Thanks for helping make the point. There are a lot of reasons to not open the door to any old code someone wants to stick into their blog. There’s a lot of people experimenting with code that have no idea what they are messing with. One glitch and it could take down a whole bunch of blogs, not just the individual’s blog. With WordPress, you have a choice. Free hosted with all of the benefits and limitations, or the free full version to do anything you want. I also know they are working on a way to allow people more flexibility to generate income with your WordPress.com blogs. It will have limits, and it will cost you, and it will probably be another fascinating move in the history of WordPress and WordPress.com, but for now, be happy you have a great place to blog free. If and when they do allow bloggers to have ads on their blog here on WordPress.com, a part of me will be disappointed. There’s something wonderful about reading all the fantastic blogs here on WordPress.com without being assaulted by begging and ugly ads. Sigh. Earning a buck off the backs of someone else doesn’t seem like something someone is entitled to. And look around you. What do you think Google does? Its making money entirely off user generated content, nothing of their own. But it gives something in return as well, so its a mutual benefit situation of “you scratch my back I scratch yours”. And I do know what I’m talking about regarding code etc. WordPress isn’t something which is new to me, been developing on it for more than 4 years now, when it was just starting out! 🙂 Though I haven’t looked at WPMU much closely off late, so can’t comment on its state confidently but it’ll be very surprising if what you are driving at is true, not good for WPMU at all. Thanks I was looking to buy a web hosting plan to start a new website. Now I will buy a cheap one with a free version WordPress. I think it is not about harmless code anymore. They just don’t want anyone to make money from their wordpress. I suffered a lot for few weeks when I was barred by WordPress to post on my blog and they just wanted me to get rid of few picture ads (with simple a href code) I did it and I was back in business. Automattic is a private business. It’s my understanding that Automattic owns WordPress.com. So they make the rules and if you don’t like them you can go elsewhere — which I did over a year ago. Using WordPress.com is a good way for a novice to start a blog. But if you want to move beyond a minimal startup blog WordPress.com ain’t free. You will have to pay for upgrades, like being able to alter your theme. Now we hear about a fee to keep ads off your blog while you are restricted from publishing your own ads. It’s pretty much like most web services, there’s a free version and a premium version. I applaud the work that Mullenweg and the WordPress team have done but I refuse to get all giddy about it. I read a few months ago that Automattic got an infusion of about $29M from investors. Matt is flying all over the world to spread the WordPress gospel. I’m quite certain that he is doing quite well (deservedly so) and I suspect that most of the top contributors to the development of WordPress are too. I respect and appreciate what the WordPress team has done and is doing, but becoming a shameless cheerleader is a premium upgrade. For anyone who wants to switch to the free downloadable version of WordPress and pay for hosting rather than using the free wordpress.com service, there’s a list of hosting providers that play nice with WordPress listed over on .org, and I think you can get deals as low as $6.95 a month including WordPress auto-install. Man I think if people want or don’t want ads so bad. They need to go ahead and host their own blogs.. Fans of Woopra hope that it will soon be available to WordPress.com members. If you want Woopra, let them know, the same as with any code or feature you would like to see in your WordPress.com blog. If they get enough requests and enthusiasm, they will consider it. Remember, this is a “member” site, too. Your say is really important to WordPress.com. They are listening. Thanks for the reply, I really appreciate it. We are doing exactly what you suggested in your reply. We are very near to launch our site next month and we hope to divert the maximum traffic from our blog to our site. By the way, yesterday your post became “hawt Post” but today they came up with their own post on the same topic, sometimes they do very childish things. Only the other day I noticed a post titled “Serial numbers of all softwares” on the featured post page but when I clicked on the link it took me to the page which says that blog you are looking for has been blacklisted by WordPress due to inappropriate content. What was this post doing on the featured posts page than? I used to use wordpress.com a lot but I got my own domain and now I just use it for my askimet key thing. I have been using wordpress since 2.0 something. I wonder what the first release looked like (1.0 I guess) and compare it to 2.7 when it comes out, I can’t wait for the preview on WordCamp Toronto, OMG, what should I wear, I need to get my hair done, go through my closet, omg I am so excited…ok now back to reality…. Are wordpress users scary? Should I get a guard dog to come with me to wordcamp Toronto? Back to the ads…I honestly do not remember any ads right now on any wordpress.com blog. I don’t mind it. As long as it is integrated and not blatantly showing up like one of those flashing banners for smiley central that when you move your mouse over that it goes “helloo there”. Would it be a violation of the TOS if let’s say I make a post reviewing a book and I interview the author then post a link (affiliate link) to the book on Amazon? Internet Advertising is such annoyance. 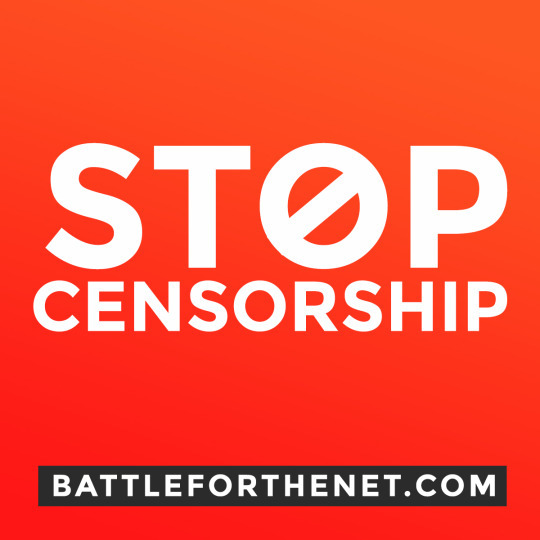 Yes I know it supports a lot of the free sites/software that I use but when you download software that has 300000 lines for the TOS and hidden in one line there in that TOS that you will be accepting an “extra” software (spyware) so you can use the original software, or when wordpress themes have their footers encrypted with ads…THAT is bad advertising. advertising should be a compliment, not an annoyance. Have you seen sites that 80% of the content is flashing banners or even Google adsense? (not saying Gadsense is bad). There is such thing as over advertising, but wp.com does not do it. WordPress have totally got this wrong. They have also stopped allowing people to post comments to the post regarding this change – it’s not had a comment added for almost 24 hours! WordPress surely needs to monetize their business – but the ‘usual’ approach is to charge users for what you give them – not to charge them to have something horrible removed – which they never asked for in the first place! Finally, I would quickly like to thank Lorelle for all the help this blog was to me, when I set up my first WordPress.com blog! You are a superb writer and your assistance was a massive help – thank you! Don’t worry about a guard dog – Melissa, the co-host for WordCamp Toronto will fend off any over-the-top WordPress users at the conference! Two weeks away – we’re getting excited! See you there! absolutely right! I cannot get such traffic without these guys! 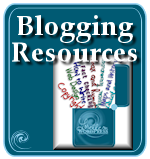 Its incredible, blogspot is no where near when it comes to driving traffic to your blog. How does one earn WordPress credits? I am keeping the ads on my wordpress.com blogs (I have two here 🙂 ) I feel good knowing I am helping out the funds of my favorite blogging software. You pay for them. 😀 One USD dollar per credit. There were plans to earn credits and I think there still is, but they wanted a way to create a monetary system that wasn’t US-specific. There are some people on WordPress.com who use the occasional Amazon affiliate link, but that’s not so much an “ad” in the direct sense of an advertisement. I don’t know what their specific policy is on that, but some are doing it. Direct ads are an annoyance, especially if they are a distraction and totally irrelevant to the content. I have my own copy of WordPress hosted but I do think it is hard to please everybody. I am sure for most the adds will hardly be noticed and $30 even though it is in US dollars is not alot if you want to get rid of them. Think of it as a donation. As for me when I read blogs from WordPress.com. I love the clean lines I would hate to see turn into add riddled site. I’m considering moving my blog to WordPress, but I’d buy my own hosting first. WordPress.org doesn’t have any ads, does it? Ofcourse that WordPress.org doesn’t have ads in it. Be warned not to try/buy “premium” themes that put ads in the footer. And if you want to earn some money, you can always show ads to your readers, but thats up to you. Miladin’s answer is correct. The full version of WordPress does not come with ads, though some “paid” and “free” WordPress Themes come from less than reputable sources and can include ads, paid links, and malicious code. Get your WordPress Themes from legitimate sources like the WordPress Themes Directory. And good luck with the move. It’s easier than you may think. Thats why blogger and blogspot are most popular as far as customization is concerned, wordspace could even ask to share profit if they allow adsense. As far as customization is concerned, that’s why most spammers and scammers (and, to a lesser extent, CSS-kiddies who don’t have a taste for design and usability) converge in blogspot and leave WP.com relatively clean and friendly. You might put profitability as your main priority, but me (and other 4 million+ user out there) prefer to blog in a neat and nice place. The most explicit policy I could found regarding Amazon referral links is in their types of blogs page. Affiliate marketing blogs: Blogs with the primary purpose of driving traffic to affiliate programs and get-rich-quick schemes (”Make six figures from home! !”, “20 easy steps to top profits! !”, etc). To be clear, examples like people writing original book or movie reviews and linking them to Amazon, or people linking to their own products on Etsy do NOT fall into this category. Java script runs on the client side – which means that it is executed in the visitor’s browser which cannot have any effect on any of the wordpress servers. This is why I moved my blog to another host. They are free, totally customizable, and there are no ads that EVER appear on my blog. It just goes against my morals. I do not believe in ads, so I won’t put them on my blog, and I will not have others make money off my content. I cannot get such traffic without these guys! Its incredible, blogspot is no where near when it comes to driving traffic to your blog. Sad isn’t it, that you need the host to provide the traffic that your content cannot generate? Perhaps that says something about your blog. kopiJaava, you do not believe in ads? Can I assume that you do not believe in profits either? Can I go further to assume that you only ride a bicycle and eat vegetables that you grow yourself? You probably pump your own water from your well, and heat your house with wood that you chopped down. You ignoramus! Given all that I have said, wordpress.com is an excellent free hosted blogging platform. Blogger is equally as good. Both have their pros and cons. Blogger happens to be far more flexible and customizable, but wordpress.com has cool community features, like tagging, which is probably the biggest reason that people think that wordpress.com will bring them more traffic. WordPress.com automates SEO better than Blogger does, but Blogger allows for more customization of SEO, so it is safe to say that no one is better than the other, it is all about personal preference. The childish argument of one being better than the other, is no different than the same old types of fanboy arguments about Windows vs. Mac, IE vs Mozilla, etc. It is all about what you like to use better, not which is better, because who are you to say what is better or not for me? It is only about forcing your own opinions upon others’ which is a terribly annoying thing that people do. WordPress.com does not allow ads, and they force you to pay $30 to not have their ads. Deal with it, or find another solution, but please quit whining! You can have ads on Blogger, and Blogsome, or you can pay to have your blog hosted and run ads to pay for the hosting. One thing to consider is this: do you truly generate enough traffic on your blog to monetize it? The vast majority of wordpress.com users do not. You are whining about the fact that wordpress.com will not allow you to waste your time on making a few dollars per year on your insignificant blog. Google AdSense – Anyone can sign up for this service and 100% free to use. Google will display ads on your site and pay you when they get clicked on. This is by far the easiest way to make money with your site. Found your site in my initial move to remove the Google ad I noticed for the first time… But then I read your post… and hey, WordPress has done a lot for me, my knowledge and has impressed clients and employers… I met Matt at the Wordcamp in Sydney, and he was kind enough to help out on with a few queries…. so, yeah… I’ll happily leave it there. I’m sure Matt isn’t short of change these days, but the principle is what matters here. Thanks for posting your piece of wisdom. Any hope for the future ? I don’t understand your question. Hope for what? I purchased the no-adds but wanted the Blog at WordPress.com. | Theme: Ocean Mist by Ed Merritt. removed from the bottom of the page.. Stupidly thats what I thought I was purchasing because you do normally have to pay for this with other CMS systems. I can’t help you as you have to contact WordPress.com for assistance. The author of the WordPress Theme you are using freely on WordPress is not an ad. It is a credit towards the designer and developer of that Theme, and recognition that you are blogging for free at WordPress.com, something I think you would be honored to permit. Ads are like Adsense. When you paid for the right to have ads removed from your site, that blocks ads that are normally seen by readers not logged into WordPress.com. If you are logged in, you do not see them. WordPress.com is not like other CMS systems, and it is a free blog hosting service. The ads help offset the costs associated with the word “free” and other blog hosting services are much worse and offer no option to opt out of advertising. 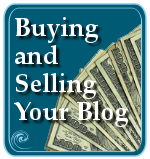 What if you have paid for the blog?.. Thanks for your message. I have contacted wordpress so will wait for their response. Paid for the blog? I don’t understand. If you are using WordPress.com, those blogs cannot be bought and sold. If you have paid for the ads, then you can request a refund if you do not want that service. I’m not sure what their policy is on that. I don’t understand. WordPress.com and self hosted versions of WordPress, both free, are excellent and top SEO accessible. The full version of WordPress allows you to do anything you want to it, including adding advertising. 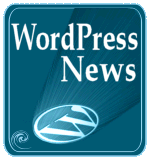 WordPress.com does not as it is designed for those who desire a free blog within the limits of their Terms of Service which are very fair, more so than other hosted alternatives. I don’t know what you mean by “clean.” Do you mean you wish to have no advertising on your site at all? If so, you can use the option to pay to not have ads visible on your site. It’s a small fee and compensates WordPress.com for the hosting costs. The ads on WordPress.com are random, rarely seen, and only show to those who are not registered with WordPress.com. Does this answer your question? whatever… In Google sites & blogs its up to me whether to have adds or not.. I will be paid for adds.. and I can have a clean site (Without adds..) at free of cost..
To delete your blog in WordPress, go to Tools > Delete Site. It is permanent and cannot be undone. 1. The ads are an ugly BLACK bar with RED print! Hideous! 2. The subject of my blog posts were re the latest government’s miniature spying gadgets/ technologies. But what were the cheesey, distasteful BLACK/RED ads about? Disgusting & hardly relevant to the content! What a huge turnoff. 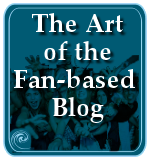 My blog has nothing to do with Jerry Springer low lifes! TOTALLY TACKY & **LOW CLASS** ADVERTISING! Thanks a bunch, WP! If WP wants to put ads on our blogs, keep them respectable! & not something from Jerry Springer’s trailer trash crowd! Sheesh! Please contact WordPress.com directly to complain. Log in and use your feedback feature to complain. I’ve never seen such ads on any WordPress.com blog when I was logged out. I am very angry to notice ads on my blog when I was accidentally signed out. I had no idea my clients or potential clients were being exposed to ads that I have no control of. This is morally and ethically wrong. If WordPress didn’t think it was wrong why have they put forth such an effort to hide it from the Blogger in charge of their site. If I wasn’t browsing my own site, signed out by accident, I would have never known. I feel so violated. Ads are not morally or ethically wrong. They are often bad manners but have nothing to do with morals or ethics. When you signed up for a WordPress.com blog, which was a choice, the terms of service clearly states that occasionally ads will be visible to those not logged into WordPress.com. Sorry you didn’t see that as it is not in the fine print, and sorry you take this personally. It’s not. It is business. The ads help offset the costs of your site. It’s free, remember. If you have clients, then maybe WordPress.com isn’t the place for your hosting unless you are on the VIP plan. You can pay to have the ads stopped on your site, which offsets the little bit of money they make from the ads, which I think is brilliant as it is still cheap, or take your hosting elsewhere and pay a LOT more. I’m a number one hater of ads, but the ones on WordPress.com are tiny details in the flood of obnoxious ads that hit me on sites all over the world. Relax. Are you stating that this was always the case, these terms of service? Or only that they were introduced at some point, presumably in that case with revised terms of service. From day one. This is for only WordPress.com not self-hosted sites. I confess I’m surprised. Why is it that the consternation about ads seems to date from 2008? Is it because it was the first time they exercised the condition? You will have to discuss that with employees of Automattic. I am not one. Very kind of you to answer my questions! One more – do you know anywhere I can read the original terms and conditions of joining wordpress? I’m assuming that they have probably been revised over the years. I haven’t found anywhere online yet. Is that another one I have to ask wordpress direct? You will need to ask on the WordPress.com support forum. I do know, like all terms of service, they have the right to change and update their TOS and policies at any time. Most do it without notice, but Automattic usually alerts users. Do know that you can upgrade your plan or pay a small fee to have the ads removed. I’ve been on WordPress.com since the very beginning in 2005 and have dozens of sites and client sites here. The ads have been random and insignificant, so not sure what the fuss is but discuss it with people who can help and are employees. Free is free but the lights need to be kept on. Thanks. If you have ads on your site on a self-hosted version of WordPress, you either put them there or they are there due to a Plugin or the Theme. Check the source code and track down what is making them happen and remove it. Most often, it comes from a bad Theme. It has nothing to do with WordPress core. That is a totally different issue from ads on WordPress.com. On WordPress.com you have to pay extra to remove ads. Maybe in 2011, the time of this post, WordPress.com ads were ‘discreet’ and ‘inobtrusive’… which sounds reasonable. BUT the current ads are neither discreet nor inobtrusive. I CRINGE every time I view my blog from a browser without Adblock Plus. The ads are extremely trashy, completely irrelevant to the blog’s content, and they are obtrusive: especially that hugely obnoxious top slider. In fact, the ads have been getting even worse over the years. I can’t believe that in this age of targeted ads, you are slapping totally random ads. 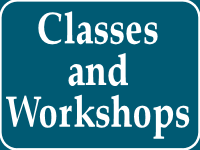 For example, on my blog page about online courses, you could sensibly – and tastefully – put an ad for an online school. Instead, no, you put trashy ads about airfares (which needs to be moved out of the way! ), and 3 copies of “Doctor says don’t cover up your dark spots”. YUCK! My blog is very low traffic. You won’t make even pennies from those awful ads! Their only effect is to turn me off to WP.com… currently migrating away to blogspot (gorgeous free blog with no ads)… and I bet many bloggers are jumping ship, too! Thanks for your comments. Unfortunately, as much as I have complained about the ads since the beginning of WordPress.com, they persist, and truth is, I think they have forgotten about them. Not a priority, though they do make money when you pay to have them removed. 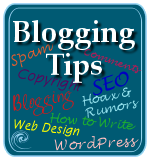 Moving to blogger will not change things as they have been doing to same for even longer. You should also know that forum posts are closed automatically after a certain time by a bot with no care or interest in the subject matter. I would not take that personally. Thanks. It takes many voices to be heard. I just became aware of ads on my wordpress.com sites today. And I understand ads are needed to offset costs of this amazing platform, but there may be an issue with the type of ads being allowed. While this is still being investigated, it appears that unknown to me, ads for casinos on WordPress may have resulted in me contravening Facebook community standards when posting links to WordPress. I don’t know if this is true yet, but it is probable. Has anyone had any similar issues in their experience with ads? The ads stay on WordPress.com I believe. Posts to Facebook should be excerpts not full web pages, thus not carry forward the ads.